Because I’m a fairly prolific reader I stumble across quite a few gems on an annual basis. 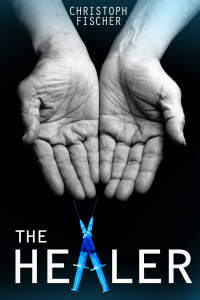 The Healer is among those fortunate finds and is on my shortlist of favorite books read over the last few years. Granted I’m a sucker for a tale that interweaves the spiritual and metaphysical with the earthly and mundane, but even if I weren’t, the excellent writing on display here would have sucked me in. 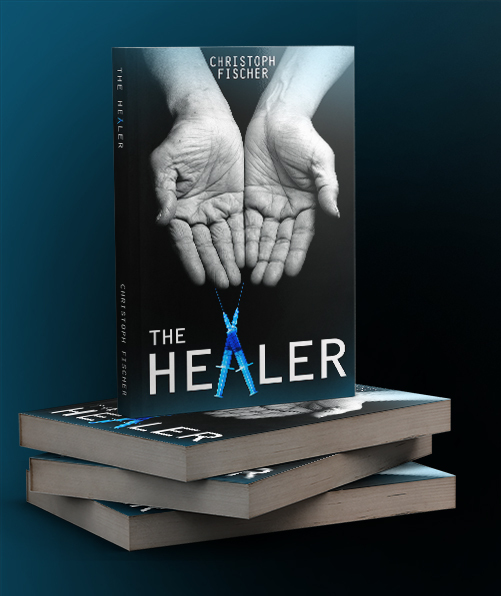 Our heroine, suffering from Stage 4 cancer, having exhausted all that traditional medicine can do for her, finds herself at the mercy of a faith healer, a practitioner of alternative medicine, energy medicine and Qi Gong, Reiki, and much more. But his unique abilities go far beyond his adeptness with esoteric practices; he has the gift as it were. 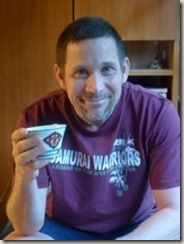 He presents as a guru type who is a lot more than mere hype, going from the well documented success stories working with people who were never suckers for New Age medicine. Quite the opposite. They were inclined like our heroine to be entirely skeptical and to have marched their way in and out of his care with an army of scientists to demonstrate that their incurable cancer had indeed been cured. Sounds too good to be true, right? Well, it kinda is.The mysterious figure who she entrusts her life to is a complex, not exactly trustworthy figure. He reminded me of the spiritual guide in the Carlos Castaneda books who can’t be taken at face value, and who may be willing to teach and heal as much through treachery, menace, misuse of power, and whatever other entirely Machiavellian measures he deems necessary. And he is a man of some ego, no shortage of moodiness. And if there is something larger than life about him, there’s also something all too painfully human about him, and not in a good way. In short, I wouldn’t want to have to trust my life to this guy. He’s quite scary. And his actual motivations for getting involved with her therapy are never entirely clear. Is he a noble ends-justifies-the-means kind of guy, capable of thus rationalizing his totally unsavory tactics? Or are his ends every bit as uninspiring as his means? Only through reading the book and taking the heroine’s journey with her can you come to truly know the answers to these questions. And as you do just that, you experience the terror along with her, the emotional doubts and insecurities, the ups and downs, the kaleidoscope of emotions on display that is dealing with death and dying in a truly self-transformative way; a way that forces self-transcendence to some degree, win, lose, or draw. You begin to wonder early on if her anxiety attacks, the parade of misgivings and paranoid ideation are part of the intense healing of mind, body and spirit that can only be accomplished with total surrender to a spiritual master—as legends tell us. Or if they’re simply entirely sane reactions to this bizarre healer and her fears are entirely justified. I recently read a quote that said a great writer should deliberately move the reader between stages of frustration and satisfaction, of tension and release, and Christoph Fischer has perfected the art of this. In a cleverly executed, well-written novel that relies on an apparently small canvas, he paints a startlingly multi-layered, multifaceted, expertly credible psychological portrait of both Erica and Arpan, and the strangely complex dance of trust, mistrust, and understanding that plays out between them. I loved this novel from start to finish, and it held me in its thrall without ever once letting me fall by the wayside into temporary disinterest. I thoroughly recommend it, and I’m heading for Christoph Fischer’s Author page on Amazon to choose another one right now. I am going to leave you hanging, because you must find out for yourself whether Erica gets healed, and whether all the secrets that this book presents you with are ultimately answered. Be warned – no one is quite who they seem to be in this novel… as a psychological mystery par excellence it keeps you wondering, speculating, and at times fretting… You want to shout: “Look out behind you!” a number of times, and then you are lulled again into an awed belief that there really is unconditional love and healing is possible. But is this the case, or is Erica a mere pawn in the greatest con trick ever? Waaah, I want necessarily read your books in german. When there is finally a transalation? Oh, das sind gute Nachrichten und dein Deutsch klingt ganz hervorragend, Christoph. Fantastic! So quickly, too. Congrats.